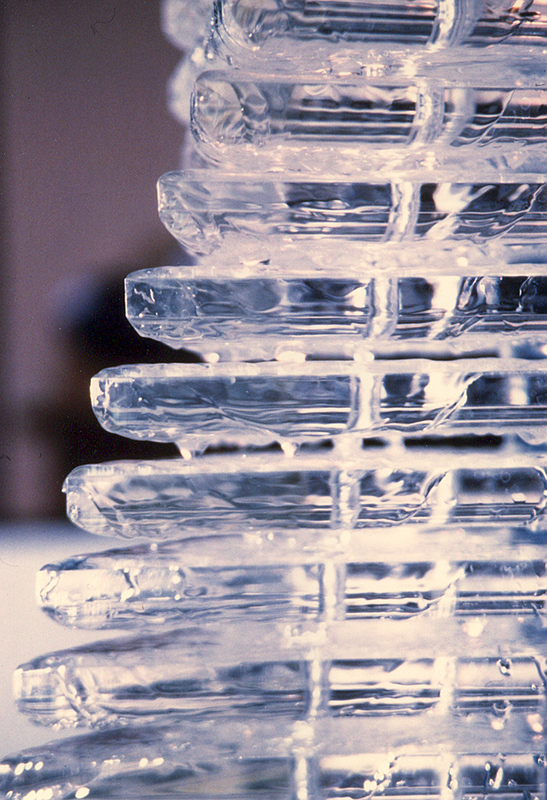 Diamond-shaped clear acrylic sheets are stacked in an offset arrangement, reminiscent of a large spring. Water surface tension properties cause the edges to hold a bulging volume of water, which eventually must release its excess to the next level. Illuminated by internal lights housed within the aquamarine bronze belts, the water shimmers throughout the entire sculpture.